Can the web build brands? I remember trying to launch Priceline in the UK in 1999 — we bought every banner you could, make great ads and no one knew what Priceline was when we were done. Now that was 1999, but the same problem happens today. Jerry Neuman makes an interesting case — direct mail has also chased brand building budgets and even though you can produce a stunning card, it hasn’t succeeded. Of course to me the question really is moot — as TVs become more connected and video search extends to the living room TV will be more like the web with all of the ad auctions, targeting and remessaging that we see online. The question is what wil the ads look like then? As I like to say, when we realized we could do direct mail, we didn’t put a poster in the post. And when direct mail shifted to email, the formats all changed again. So what will become of the 30 second spot when the TVs are all connected? What If Online Doesn’t Work For Branding? 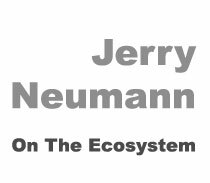 Jerry Neumann is a partner in Neu Venture Capital, a New York City-based seed-stage investor group with investments in 33Across, Metamarkets, PerformLine, The Trade Desk, Optim.al, Media Armor, and Yieldbot among others. Jokes all start with one of a few stock set-ups. “A man walked into a bar.” But the punchlines are all different. VC pitches are the opposite: the set-ups are all different, but the punchlines are all the same. Stop me if you’ve heard this one before. “We enable the half of advertising that is not yet online: brand advertising!” Been hearing that one for more than ten years now. It permeates the hopes and dreams of every adtech entrepreneur and investor. And still no one has cracked the code. Lack of creativity in formats. The prize is huge. 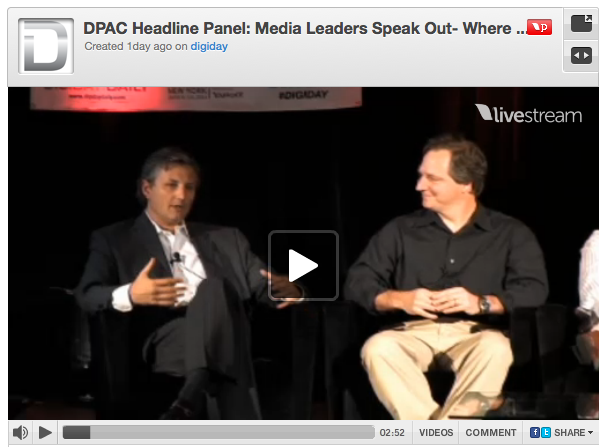 As Tim and Tim point out, two-thirds of advertising spending is brand advertising, but online only one quarter is. In fact, if brand advertising dollars moved online in the same proportion that sales advertising has, it would almost exactly close the famous gap between time spent online and ad dollars spent online. The $50 billion gap that Mary Meeker mentions is exactly equal to the missing brand spend. I understand the urgent desire to figure out online brand advertising. If we did, we’d more than double the online advertising market. Online pubs would rejoice, online marketing pros would have more excuses to go out drinking with prospective clients, my portfolio value would quintuple overnight. Good things all. And I appreciate the optimism that Tim and Tim have, their willingness to keep suggesting solutions. But I think it’s the triumph of hope over experience. Each of the proposed solutions has been tried, and tried and tried. And still we believe that this time it’s different, that this year an online branding play will work. Online video maybe, or Facebook, or Pinterest. Every new company is touted as the one that will make branding work online. But what if we try all these things, like we’ve tried everything before, and they don’t work? What if we eliminate all the possibilities and what remains is… nothing? I’m going to be branded a heretic for saying this, but what if online just doesn’t work for branding? A year ago I published a post internally at JWT, and here on Altacircle, talking about why agencies need to learn software development. The argument was that all good digital marketing is software at the end of the day, and that as long as most agency personnel respond with the expression “but I’m not technical,” it will be hard for us to do good digital marketing. Today Joe Lozito, SVP Technology at Digitas, published a piece on Digiday titled “Why Marketers Need to Think Like Developers” on the same theme. A big part of my argument from a year ago was that as our advertising / marketing industry changes, this is a big an opportunity. IT spending is over 3 times advertising spending and as advertising become more technical, it is likely marketing will call on IT to divert funds from internal infrastructure projects to technical projects that are consumer facing. Just this past December, Gartner has published its predictions for 2012 and has stated that by 2015 they expect 35% of IT expenditure to be managed outside of the IT department. This can be seen as a threat if those budgets are handed to traditional IT partners like Accenture or the new breed like Sapient, but it is also an opportunity if the overall IT expenditure remains the same and the funds are shifted to teams that understand consumer needs and how to make a compelling user experience. Of course these moves don’t happen overnight. Technical projects include technical people and they have every right to question the capability of their partner doing the work. So once again, agencies really do need to learn software development. If you feel like giving up a whole 30 minutes and hear the agency perspective on the shift of advertising dollars from traditional to digital channels, here is yet another BIG chance! myself (sitting in for Bob Jeffrey). Interesting highlights from my perspective?